First, let me explain to you why I wrote about birth experience in one city, rather than in the country. Switzerland is divided into 26 cantons, and they are all different: each with different laws and (high) standards, 4 languages, and rough terrain – it makes (for example) Zurich a completely different universe. 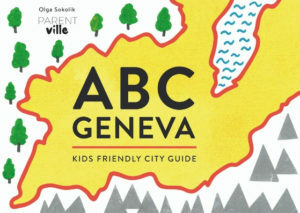 As I’ve only lived in Geneva, and gave birth in Geneva, I can only write about Geneva without spending time on a year full of research. My Polish point of view would see everything about Geneva birth-care as crazy luxurious, or even extravagant. Overall, the way women are taken care of when giving birth is pretty good for a country that granted them voting rights only 44 years ago. There is something very special about pregnancy and birth care in Geneva and I think I know what that is. It’s not the champagne and parents’ dinner date. They didn’t offer me any bubbles in HUG. But there are a few private clinics in Geneva, some with maternity wards. Those high-tech, mountain-view, nicely-designed clinics that resemble a 5 star hotel, the ones you’ve always thought are a cliché of Switzerland, are not clichés at all – they exist. And this is where, my dear friends, you get to enjoy a fancy dinner with champagne to celebrate your baby’s arrival. No joke. I also heard about a glass of champagne minutes after successful delivery, but haven’t managed to confirm it with a solid proof. It’s not the food. One of the 2 lunches I was served in the maternity ward of HUG was a duck with saffron potatoes. I remember it for 3 reasons: 1) I was extremely hungry from the second after I gave birth for weeks to follow; 2) it was delicious; and 3) my mom did not believe hospital can serve saffron anything. Bottled water is available without limits. A big thermos filled with tea of your choice (and there’s a LOT to chose from), and cookies will be left on your nightstand for the night. I could write another 1000 words solely on the food in Geneva hospitals, but let’s move on. It is certainly not the high standard of Geneva’s public hospital (HUG, check out the virtual tour). It’s the only hospital in the area equipped with everything that might be needed if things go wrong. Hence, women who decide to give birth in a more luxurious private hospital or clinic have to be aware that they will have travel in the ambulance to HUG the moment things turn risky. It’s not that even though HUG is quite an old hospital, it is so perfectly maintained it looks better them some of the newly refurbished hospitals in my Polish home town. It’s not the maternity leave that’s 4 months long, because although it sounds luxurious to all US moms who got O days of maternity leave, it is super short for some Eastern Europeans used to 1 year of paid maternity leave. It’s not the excellent post-natal at-home care provided by midwives, 100% reimbursed by health insurance. In Geneva women are entitled to 10 midwife visits. She comes to check up on the mum, to help with newborn care, with breastfeeding, answer every possible question, to weigh the baby, to make sure the mum is healing well. On top of that, every mum is entitled to post natal physiotherapy (perineum re-adaptation), and 2 consultations with a professional lactation consultant. 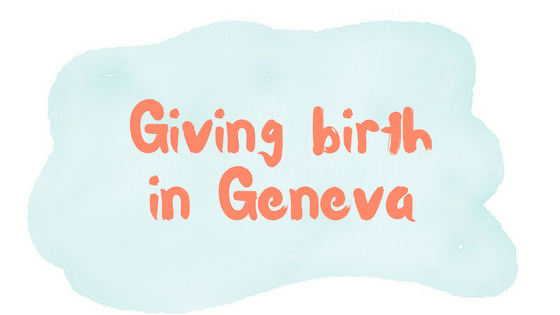 If the above is not special than what makes giving birth in Geneva an outstanding experience? It’s the people who assist women during the delivery, and the people who take care of her afterwards in the hospitals. The equipment, the high-tech, and easily available medicines are of course important but what no money can buy is the midwives’ and doctors’ attitude towards the patient. They are warm, confident, compassionate, friendly, and professional. They not only keep women and their babies safe, they also make the parents feel safe. From the moment you turn up at the maternity ward you know you can count on them, you know they will help. They listen. They empathise. They seem to understand. You can call a midwife to your bed every moment day and night to help with anything and everything. I called once because after 48h without sleep for me, now my newborn couldn’t stop crying. The midwife came, listened, and helped. A friend who gave birth in UK called tired and frustrated, because she could hardly move and her baby pooped again. Call for a midwife, I said. She laughed. Apparently in some countries midwives forgot what their profession is about. Well, not in Switzerland.